Offering numerous types of healing treatments at two locations, including massage, acupuncture and rolfing. Open 7 days a week & evenings by appointment. Treatments include massage, acupuncture, Rolfing, swedish, deep tissue, hot stones, reflexology, lymph drainage and cranial sacral. 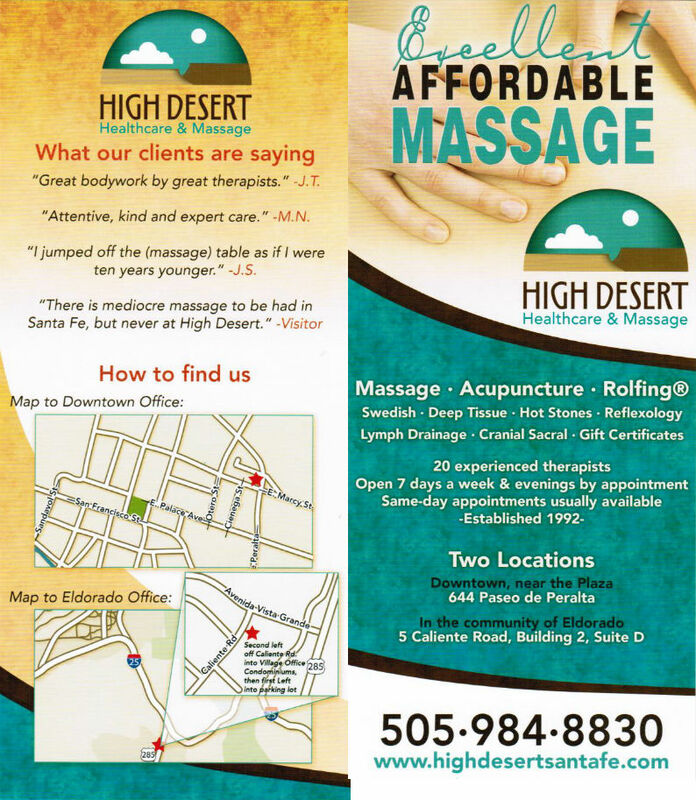 Located downtown near the plaza at 644 Paseo de Peralta and in Eldorado at 5 Caliente Road, Bldg 2, Suite D.